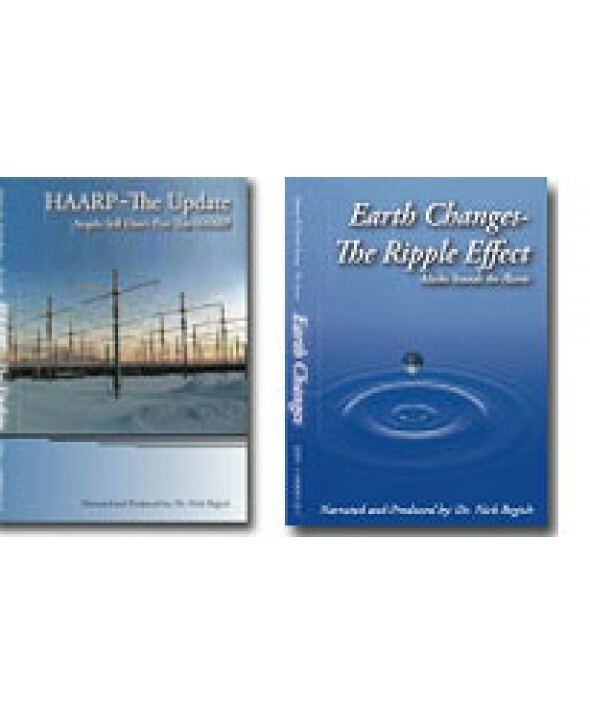 HAARP – The Update: Angels Still Don’t Play This HAARP: Earth Rising Series Volume 3. Based on the best selling book, Angels Don’t Play This HAARP, narrator Dr. Nick Begich presents a compelling discussion of one of the important military advances of the United States Government. The technology is designed to manipulate the environment in a number of ways that can jam all global communications, disrupt weather systems, interfere with migration patterns, disrupt human mental processes, negatively affect your health and disrupt the upper atmosphere. The U. S. military calls this new zapper the High-frequency Active Auroral Research Program or HAARP. The rest of the story is revealed in the patents, technical papers and other documents that continue to emerge regarding this project. Begich has presented on the subject as an expert witness for the European Parliament, Committee on Foreign Affairs, Security and Defense Policy Subcommittee on Security and Disarmament, GLOBE and others. Earth Changes – The Ripple Effect: Alaska Sounds the Alarm: Earth Rising Series Volume 4. Arctic and Antarctic regions of the world are being profoundly affected by earth changes. The arguments over manmade or natural causes continues to be debated but what can not be denied is –Things are changing regardless of the cause! This DVD addresses many of the issues facing the all of us as residents and stewards of planet earth. The narrator presents his personal experience and knowledge combined with the latest research on these subjects. Climate changes, earthquake increases, pole reversals and pole shifts are discussed using Alaska as an example of the changes now taking place. In addition energy policy and alternatives are discussed as well as some of the economic issues related to earth changes. Energy policy issues are discussed in terms strategies that might be applied to national and international energy matters.